UPDATE: Not confirmed, but claims are he was captured alive and died of wounds, including a shot to the head. And now it's time for all of us to go back to not caring about that oil rich desert nation.... One evil dude to finally face consequences to his tyranny. 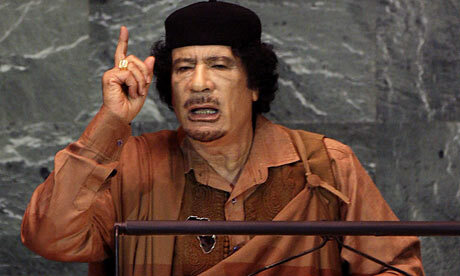 Deposed Libyan leader Muammar Gaddafi was captured and wounded in both legs near his hometown of Sirte at dawn on Thursday, National Transitional Council official Abdel Majid said.